The authors of the Late Middle Ages had two main ways to tell the Passion: in form of “meditations” or in form of “narrative representations”. 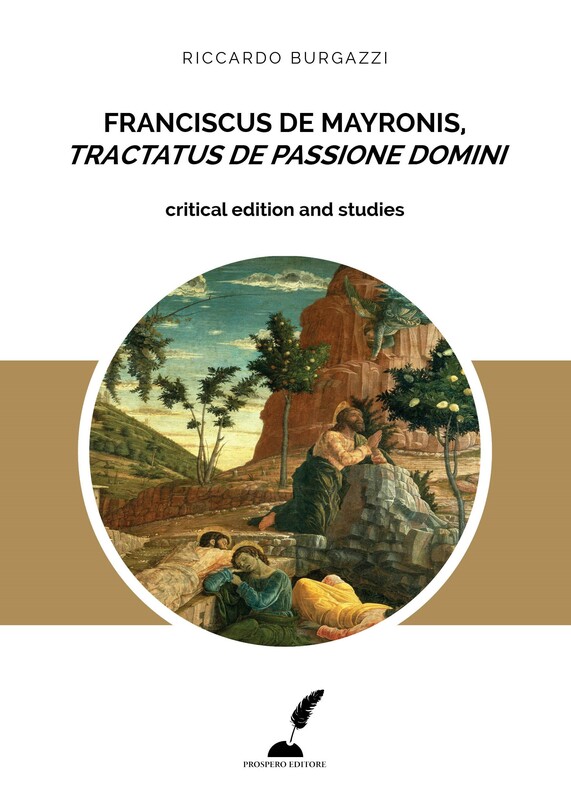 Meyronnes’ Tractatus de Passione Domini belongs to this second typology, which allows the author to invent dialogues or to describe characters’ emotions and thoughts and to offer sometimes also his own point of view to the reader. Moreover, his work is probably the first example of this textual typology. Francis of Meyronnes (1288 – 1328) was a theologian and a sermonist, disciple of John Duns Scoto. He wrote an impressive number of philosophical, political and devotional works. 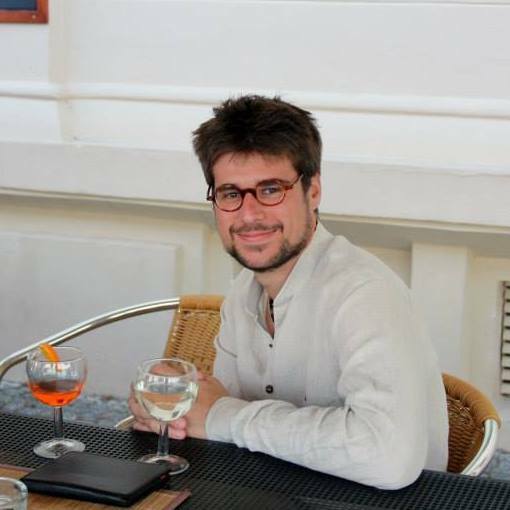 He studied at the University of Paris and taught in several provincial studia in France and in Italy. Riccardo Burgazzi è nato a Milano nel 1988. 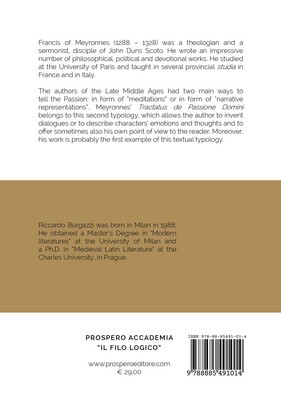 Laureato in Lettere, ha vissuto in Spagna e in Repubblica Ceca, dove ha conseguito un dottorato di ricerca in filologia mediolatina e insegnato “Storia del libro” e “Letteratura latina medievale” all’Università Carolina di Praga. Nel 2018 ha insegnato all'interno del master in editoria dell'Università di Verona. Lavora nel campo dell'editoria e della distribuzione libraria.